Smoke and sizzle, steam and spice, cooks wrangling woks and hungry night-time hordes queuing at favourite open-air stalls. It's a scene repeated all over Asia, from Shanghai to Chiang Mai, and from next Monday we'll see it in Melbourne. 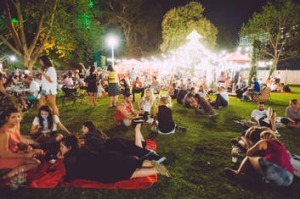 For two weeks, Alexandra Gardens, on the banks of the Yarra, will morph into street-food central as some of Melbourne's best-loved Asian restaurants, cafes and food trucks gather nightly to dish out everything from pad Thai to pork buns, yakitori and yellow curry, amid the buzz of bars and DJs playing music under the stars. The arrival of the markets in Melbourne follows their success in Sydney, where they have been a landmark annual event since the late 1990s. ''This year in Sydney we had 43 stalls, four bars and ran across 16 nights, drawing a crowd of 295,000 people - up to 35,000 on any given night,'' says Savill. Theatre is a big part of street food and Mamak stalls will be no exception, with trademark freshly flipped roti stretched, folded and sizzled as patrons watch. ''Everything will be cooked on site,'' says Lee. 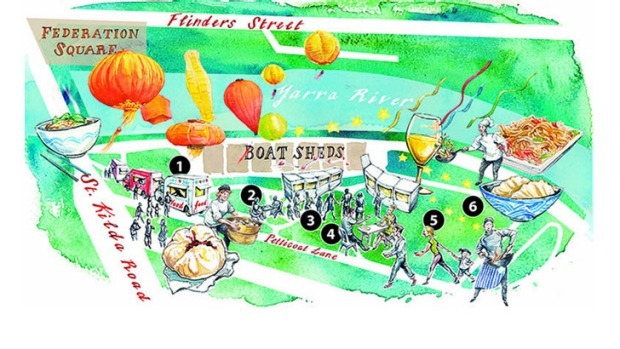 The first Melbourne Night Noodle Markets will comprise about 30 stalls cooking street-food favourites. Tiny laneway eatery Wonderbao was nominated late last year by The Age Good Food Under $30 editors as ''a cool new kid on the block'' and one of Melbourne's top 10 best eats under $10. Manager Shan Lin says bao - puffy steamed, filled buns - are a classic Asian street snack, easy to carry and eat, whether they're the plump Chinese version or the fold-over Taiwanese type ''like an Asian taco''. The Wonderbao market stall will serve several different bao, including a vegetarian bao and roast pork belly; a version that comes with cucumber, pickled carrot, daikon, hoisin, and its own fan club. Footscray West's Aangan Indian Restaurant will serve assorted breads, roti with meat and vegetable stuffings, grilled kebabs and fried snacks. Richmond Vietnamese restaurants I Love Pho and Thanh Phong will bring a taste of Victoria Street to the markets, while the city's Izakaya Den will be dishing out dude-ish Japanese eats, including fried chicken and the Hihou Dog - a variation on the hotdog. Hoy Pinoy will offer Filipino flavours, including the traditional sausage known as longganisa and pork belly glazed with one of the Philippines' favourite condiments, banana ketchup. For those infected with food-truck fever, there's no need to rely on luck or Twitter to locate your next rolling repast. 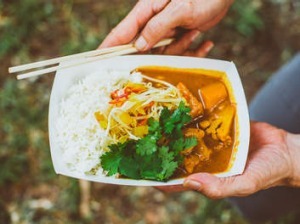 The Night Noodle Markets offer a chance to sample five in one spot, including Bean Rollin', Let's Do Yum Cha, the vibrant Vietnamese fare of Lil Nom Noms and (on most nights) the Banh Mi Boys, plus Taiwanese treats - maybe spring onion pancakes and sausage with pepper sauce - from Ghost Kitchen. 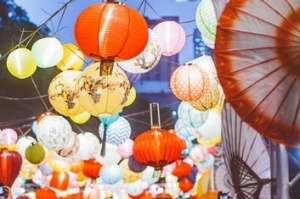 The Night Noodle Markets are a celebration of spring and Australia's Asian food culture. There's more Taiwanese on offer from a stall by the city's Mr Huang Jin, including steaming, soupy xiao long bao dumplings. Melbourne's best-loved Asian restaurants, cafes and food trucks will gather nightly to dish out everything from pad Thai to pork buns, yakitori and yellow curry. The street and market food of Asia is fast, not fancy, made to be eaten with more gusto than ceremony. Not the kind of thing to impress top restaurateurs? Far from it. Here's why four of Victoria's most decorated owner-chefs love heading to a night-time Asian market. Andrew McConnell has a clutch of acclaimed restaurants and The Age Good Food Guide chef's hats, including two this year for Fitzroy fine diner Cutler & Co. McConnell's first food market experience was in south Thailand in 1993; his best was a recent banh mi on a Hanoi street. "Depending on your timing and location the freshness of the food is usually incredible. To this day, sweet salty sticky rice and coconut cream in Thailand has to be my favourite and I can never go past steamed vegetable dumplings or pan-fried dumplings in Shanghai." Teage Ezard, of two-hat Ezard in Flinders Lane, first tried Asian market food in the Malaysian capital, Kuala Lumpur. "I ate late at night with a local who took care of our ordering. We ate a huge amount for next to nothing!" Ezard, who also co-owns Gingerboy, loves the diversity hawker markets offer in a small area. Depending on where he's travelling, his go-to Asian street dishes are chilli mud crab, the well-loved Thai pawpaw salad som tam and "sweet sticky black rice in bamboo". Michael Ryan, owner-chef at two-hat Provenance in Beechworth, is known for his love and knowledge of Japanese cooking and warmly recalls cold nights in Fukuoka, which many regard as Japan's street food capital. But when it comes to hawker food, Ryan may have left his heart in Malaysia - specifically, Penang's capital city. "Georgetown, you have Malaysian food, Chinese food, Indian food and that wonderful fusion of all of them, Nonya, all within walking distance." What he likes most about hawker food is "the sense of discovery - what is around the corner, at the next stall - being out of your comfort zone, the smells, the noise". Geoff Lindsay earned several chef's hats while cooking at some of Melbourne's most exciting restaurants. As owner-chef at Elwood's one-hat Dandelion, he regularly visits Vietnam; when he touches down in Hanoi, his arrival treat is bun cha, grilled pork and noodles. The best thing about the food of the markets and streets? "It is everyone's food, the food of the people, you can be with a prince or a plumber and everyone eats with gusto." Banh mi, dumplings, som tam and bun cha are among the dishes at Melbourne's Night Noodle Markets. Aangan: Assorted Indian breads; roti rolls and wraps; kebabs; fried snacks. Autorickshaw: Indian butter chicken and saffron rice; masala chai; aloo tiki chat; naan. Banh Mi Boys: Bun noodle salad, bangin' banh mi baguette, blue cod ceviche. Let's Do Yum Cha: Barbecue pork bun; pork or chicken dim sim; vegetarian dumpling; vegetarian spring roll; prawn and chive dumplings; prawn gow gee.